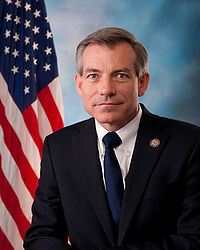 David Schweikert (born March 3, 1962 in Los Angeles, California) is the Republican U.S. Representative from Arizona's 5th congressional district, defeating incumbent Democrat Harry Mitchell in the 2010 election. He is a member of the House Financial Services Committee. Previously Schweikert served two terms in the Arizona House of Representatives, chair of the State Board of Equalization, and Treasurer of Maricopa County, Arizona. This page was last modified on 27 June 2016, at 01:08.